Keeping an organized life is the key to success. Calendars help you remember all those important dates, whether they are personal or business. The idea of leaving it all to your memory is right out ridiculous. 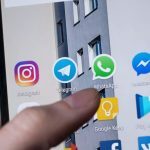 The following top 7 Calendar apps for your Android device will help you keep everything under control. 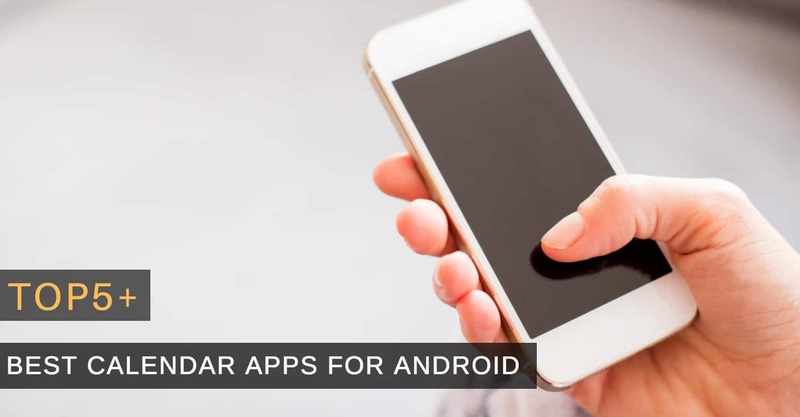 SolCalendar is one of the most popular calendar apps on Google Play. It has at least 1 million downloads and counting. The calendar app has an easy to understand interface and offers you more than just the calendar feature. You can also use all kinds os widgets such as agenda, calendar, Day, To-Do, Countdown, Shortcut, Etc. Just find a large enough space on your home screen and the widget you want. You can sync Sync SolCalendar with the calendars you are already using, but if you don’t want to, you can always skip this part. Scroll up and down to go from month to month and left to right to go from section to section. 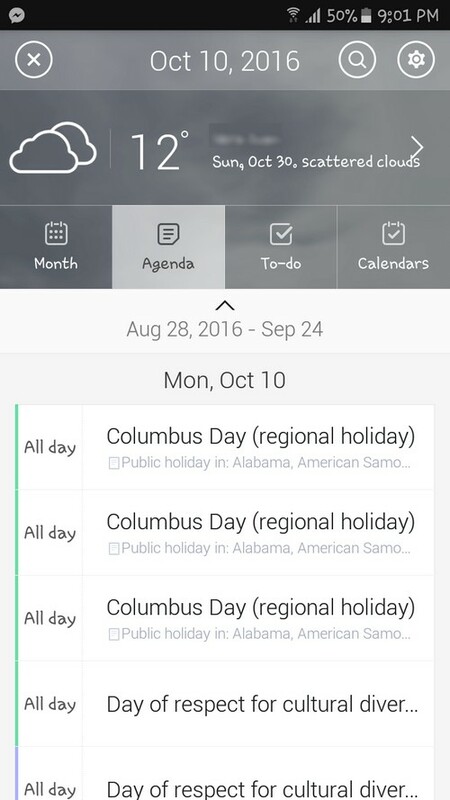 The first section is the calendar, but swipe right to the left, and you can see your agenda. At firs glance, you can only see your plans for the day, but if you move your finger like if you’re zooming in, you can see the particular time for each activity. Swipe left, and you will see your to-do’s. To add a task just tap on the plus sign that’s beside the Enter to-do and give your task a name and press done on your keyboard. The new function will be automatically added to the No Due Date Tasks and if you want to add more information, just tap on it and edit away. You can either choose to have the task completed by today, tomorrow or select a date from the pop-up calendar. You can also add an alarm, stickers, colors to your To-Do. Also if you give your location, SolCalendar can also offer you the weather. Another popular app that you can try for free is Business Calendar 2. It may not have a design as SolCalendar (at least in my opinion), but it does have everything you are going to need to get your life organized. 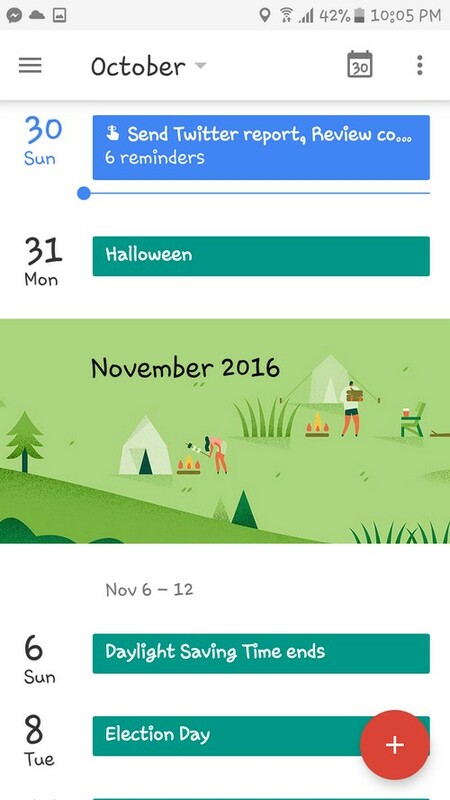 If you tap on the hamburger icon on the top left-hand corner, you will gain access to all the options this calendar has to offer. You can see your appointments in different kinds of views. For example, you can choose between Year, Month, Week, or day. You can also make a choice between 22 app themes and never forget a Birthday thanks to it Birthday reminder. There are other options such as remembering a wedding, anniversaries and other important dates. Don’t forget to use its customizable notifications with directions, snooze reminder, show a map and write Email to attendees. Another thing you are going to love is that you won’t have to put up with annoying ads. I couldn’t leave out one of the best calendars out there, even if it is from Google. Google Calendar has you covered if you want to get your things in order. I like that Google Calendar separates each month with an image according to that month. For example, if it’s November, it will show you a picture remembering Thanksgiving and if it’s the month when Summer start, it will show you people poolside. 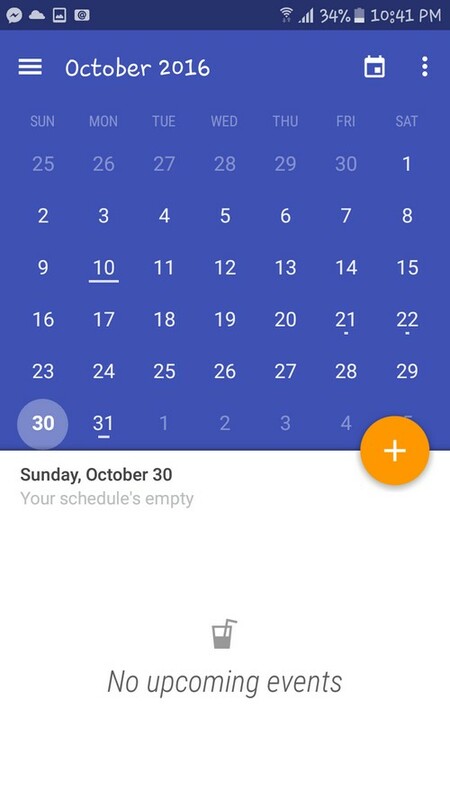 By tapping on the hamburger icon, you can either see your plans in Today, 3-day, week or month view. You can also add goals, reminders and obviously events. Don’t forget that the goals feature is very useful if you want to find time to do certain things, but can’t seem to locate the time. Google calendar will see what you have planned and will locate the time for you. For your events, you can add essential information such as if it’s an all day thing, location, reminder, invite people, colors, add a note and even add a Drive document. Jorte Calendar also has a lot to offer and giving great importance to the colors you can decorate your events with. For example, you can have the background of a square in one color and the text of the event in another. As you can see in the image above, the OmgHowTo text is in the red, and the background is in Blue. You can easily see the information for a task by tapping on the day and then on where it says, ¨Tap here to display the details. You can see information such as begin date, due date, content and you can also mark is as completed. The app lets you see your task in day, week or month view. Jorte Calendar also offers you a large variety of widgets you can add to your home screen. 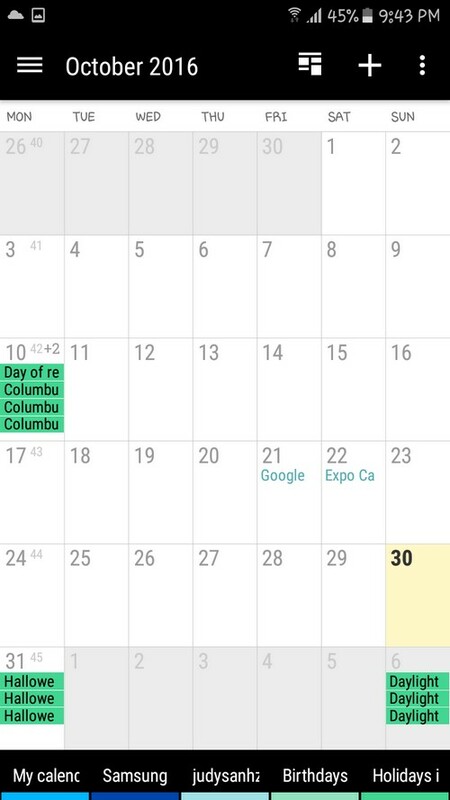 Today Calendar has an user-friendly interface where you can see your upcoming events on the lower part of your screen. On the other half, you will see the month view of the calendar. If you’re not happy with the look, you can always click on the hamburger icon and change it. You can choose between three different views such as Day, Week and Month. The app also has an invites option where you can see all the invites you’ve created. All the invites are divided into different tabs such as Open, Accepted, Note Sure and Declined. You can easily create an event by clicking on the orange circle and fill in details about your event. Calendar+ is another calendar app wants to organize your life, but that also wants to look good in the process. It features a customized search function that will make searching easy and fast.​You won’t have to worry about forgetting another event thanks o its appointment reminders and scheduled alerts. This calendar app also lets you add widgets to your device’s home screen. You can choose between different types of widgets such as modern, darkness, translucent and more! Adding an event is easy, and when an event is added, you can modify it will all sorts of details. 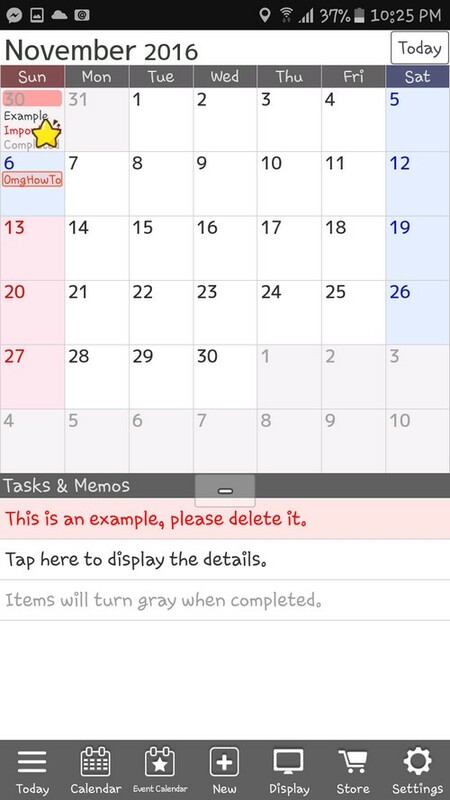 It has the necessary information any calendar app can offer, but it also lets you add a picture. Can’t decide between Google Calendar and Tiny Calendar? 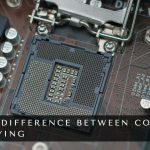 That won’t be a problem since both apps can sync with one another. You can also see your tasks in Month, Week, two-week and agenda view. The calendar also has an offline mode where you can still add and edit all you want, even if you don’t have an Internet connection. You can also invite and accept invitations with ease. 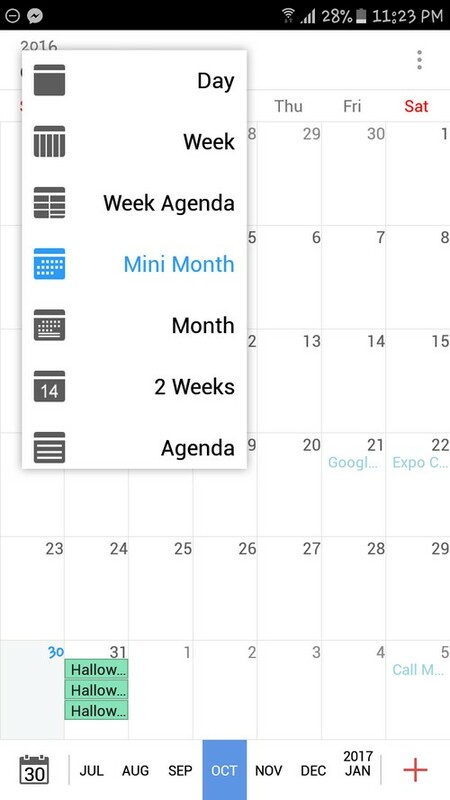 Tiny Calendar also features Intuitive Gestures. With this feature, you can use multiple gestures to manage your events efficiently. As you can see, there are quite a few calendar apps you can choose from. The primary goal of each app is the same, but with different style and features. With what calendar app do you organize your life? Let me know in the comments.